FR Legends is a unique racing game by Feng Li. 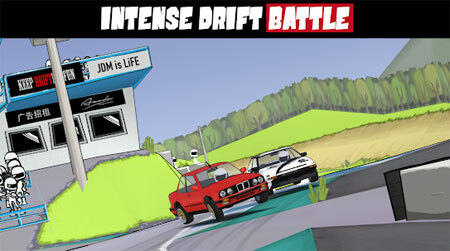 It is all about drifting. From driving legendary FR drift cars at world’s most iconic circuits, to customize everything on your car including engine swaps and wide-body kits. The game lets you have tandem drift battles with AI drivers, unique scoring systems based on real world competition judging rules. Come experience the spirit of drifting and car culture. If you get stuck in the game, check out the video walkthrough and gameplay for the game. This entry was posted in Android Games, iOS Games, Mobile Games, Walkthrough and tagged FR Legends Cheats, FR Legends Game, FR Legends Gameplay, FR Legends Guide, FR Legends Hints, FR Legends Review, FR Legends Solutions, FR Legends Strategy, FR Legends Tips, FR Legends Walkthrough by Marvin. Bookmark the permalink.